For the second time since 2008, IWC Schaffhausen pays tribute to the Swiss boatbuilder Boesch. "Boesch motorboats have one thing above all in common with watches from Schaffhausen: they are made with a passion for craftsmanship, and their unmistakable design makes them instantly recognizable," is how Linus Fuchs, IWC Managing Director Switzerland, describes the partnership with Boesch. The case, in stainless steel, measures 43.5mm x 14.5mm. It has a convex AR-coated sapphire crystal and it is water resistant to 60 meters. 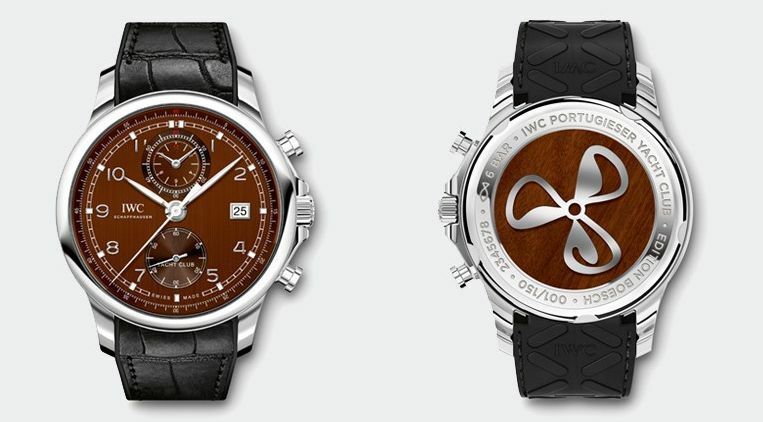 The caseback features a mahogany inlay of a stylized ship's propeller imprinted on the inside of the glass back cover. Movement is the Swiss automatic IWC in-house caliber 89361 with 38 jewels, 28,800 vph and a power reserve of 68 hours. The chronograph features a flyback function. The dial is mahogany brown with steel indices and hands. It comes on a black rubber strap with alligator leather inlay and a steel folding clasp. 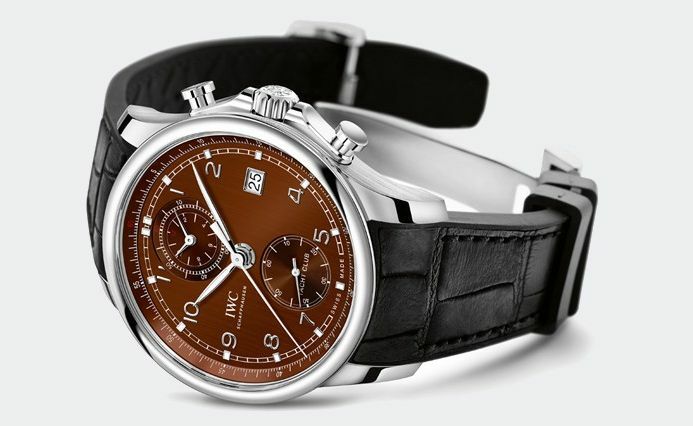 The new model is limited to 150 pieces only and is available exclusively in Switzerland at official IWC retailers.